Modern farms require strong tractors. 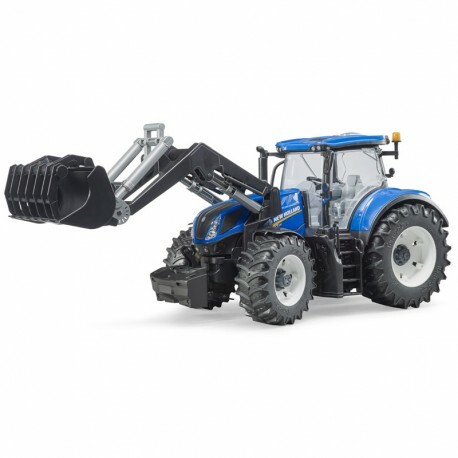 For this reason, New Holland developed the T7 Heavy Duty model series with a focus on flexibility and power. 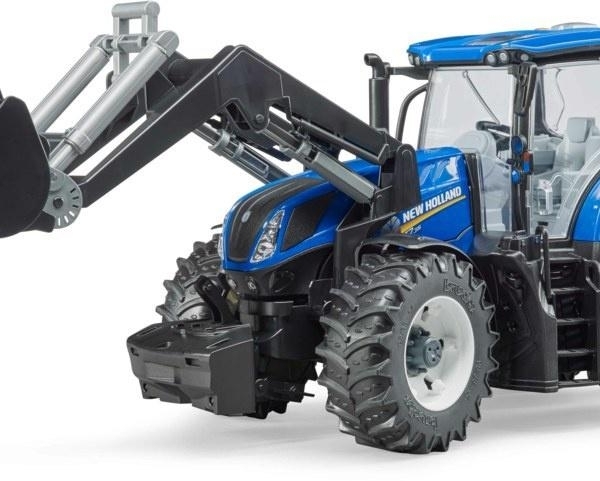 The New Holland tractor generates 313 hp to operate heavy-duty equipment. 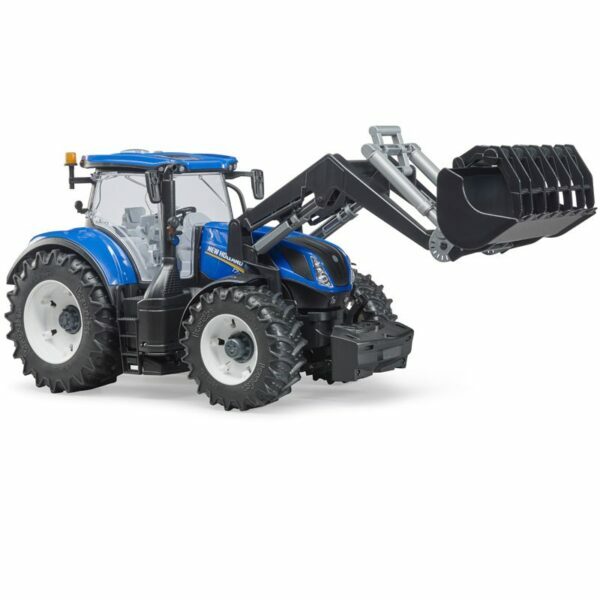 Consequently, the tractor is strong enough for pulling, soil processing, pressing bails and transport. 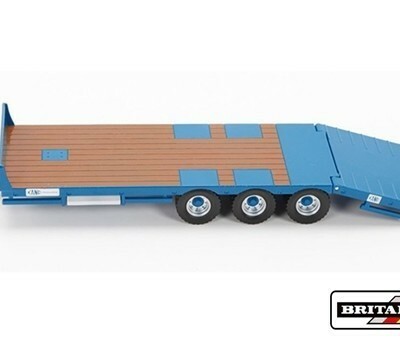 In terms of design, functionality and quality the new BRUDER model at a scale of 1:16 owns up to it all, in line with the company’s motto “just like the real thing”. The cab is fully glazed and features easy-to-open doors. The folding bonnet provides access to the impressive engine. Excellent handling and ride comfort thanks to the installed oscillating axle as well as the steering wheel extension that is inserted through the roof. A fully functional front loader has been fitted to this model to enhance the fun. 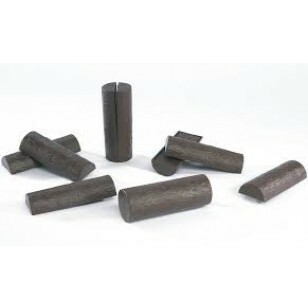 Twin tyres (item no. 03317) can be installed as an option. The height-adjustable rear coupling is compatible with all Professional series trailers. The new, detachable wheels add to the fun. 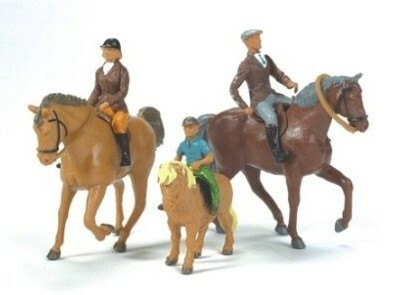 Enhance this great toy’s value even more by adding the Workshop figure set (item no. 62100). 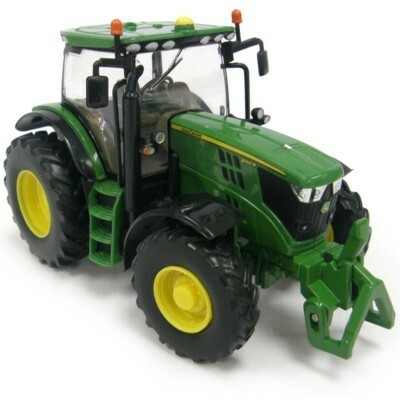 It goes without saying that all BRUDER agricultural trailers and equipment are compatible with this tractor. This model is also compatible with the optional Light and Sound Module (item no. 02802) to enhance the fun.